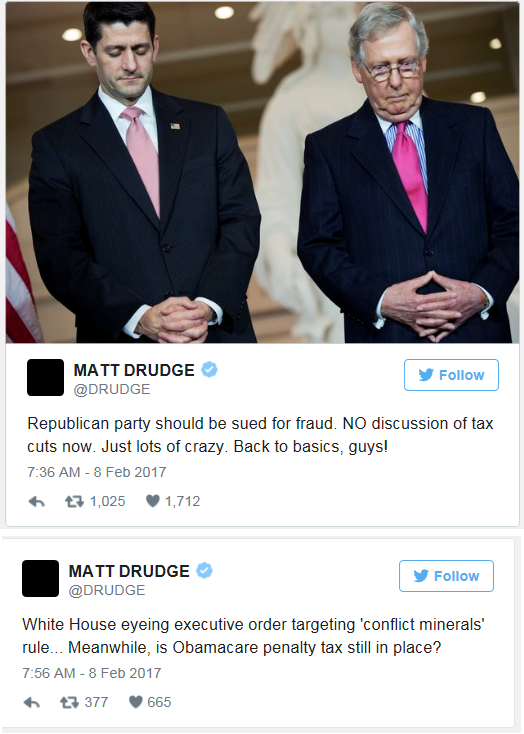 Sean Spicer Responds to Matt Drudge Tweets who slammed GOP on Obamacare and Tax Cuts. White House eyeing executive order targeting 'conflict minerals' rule... Meanwhile, is Obamacare penalty tax still in place?